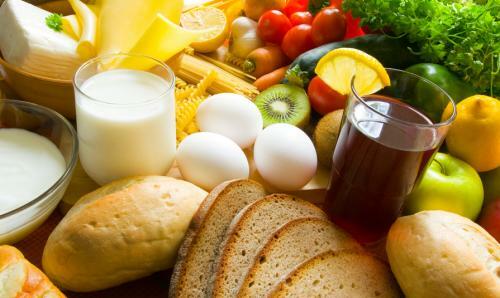 A new study published in Journal Elementa has found that a diet made of vegetarian food and dairy products can utilise agricultural land in USA most optimally. It said that if dietary patterns of the country changed, agricultural land can provide for 1.3 to 2.6 times larger population. The study, conducted by a team of researchers at Friedman School of Nutrition Science and Policy at Tufts University, is the first to calculate agricultural land requirement in the US based on different dietary scenarios. While conducting the study, the researchers considered 10 different diets with varying protein content. Eight out of these met the dietary guidelines of the United States Department of Agriculture and provided similar nutrition. The researchers compared these diets based on their carrying capacities—the number of people that can be fed with the available agricultural land. It was found that a lacto-vegetarian diet can feed around 800 million people, which is twice the carrying capacity of the current diet pattern in the US. The current average American diet is meat-based with high levels of sodium and sweetened content. The study showed that 80 per cent of available cropland was used to grow crops for animal feed, such as hay, while the other 20 per cent was devoted to fruits, vegetables and grains for human consumption. Food shortage has been a worldwide concern. In September 2015, “zero hunger” was one of the 17 sustainable development goals adopted by United Nations. Member states aim to “end hunger, achieve food security and improve nutrition, and promote sustainable agriculture”. Land is a limited resource. As per UN’s Food and Agriculture Organization, the arable land available per person reduced from 0.38 hectare in 1970 to 0.23 ha in 2000. FAO has also projected a decline of upto 0.15 ha per person by 2050. Previous scientific researches focused on efficient land-use, were aimed at increasing the crop yields. However, this study provides an alternative solution to the problem of hunger. It recommends change in eating habits, rather than changing the planet’s landscape by converting forest cover to agricultural land. “Our aim is to identify potential agricultural-sustainability strategies by addressing both food-consumption and production,” said lead author of the study and associate professor at the Friedman School, Christian Peters. "We know that, in many ways, land use can have severe ecological impacts. Before we go about converting land to other uses, to develop sound agricultural policy, we have to understand the impact of dietary patterns on land use," said author Gary Fick, professor in the School of Integrative Crop Science at Cornell University.